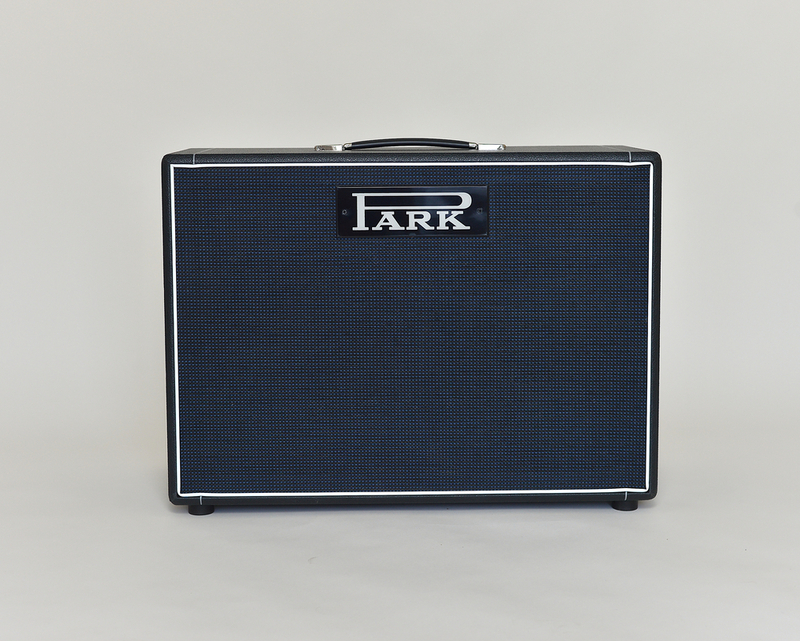 Park speaker cabinets differ slightly from traditional cabinets. Their unique design adds to superior tone and projection. 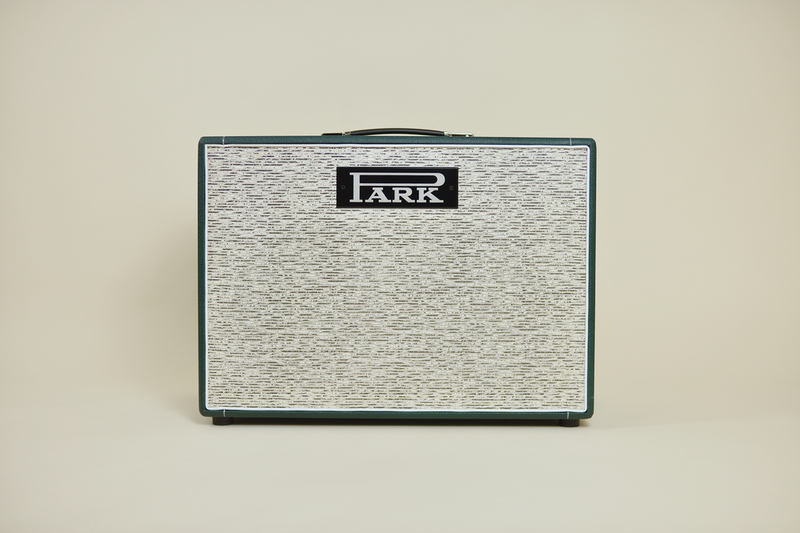 Shown below are the 4x12, 4x12 with head, 2x12 front and back, square 2x12 (same size as 4x10, 24" square and available with top strap handle or two chrome bar side handles), 2x12ltd, 4x12ltd and 1x12 "little cabs". They are all angled cabinets except for the bottom "little cab". 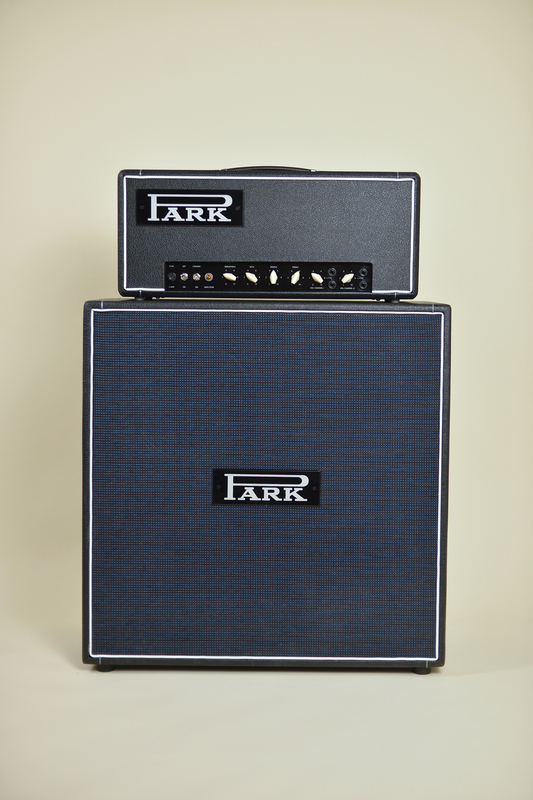 Rather than having a break in the middle of the cab, the 4x12 is angled slightly upwards from the bottom of the cab to the top. This gives you the depth of tone usually associated with a straight 4x12 but the projection and clarity on stage of a traditional 4x12. The others have a similar front angle. All cabinets are available with in black covering and standard blue/black basketweave grill cloth. 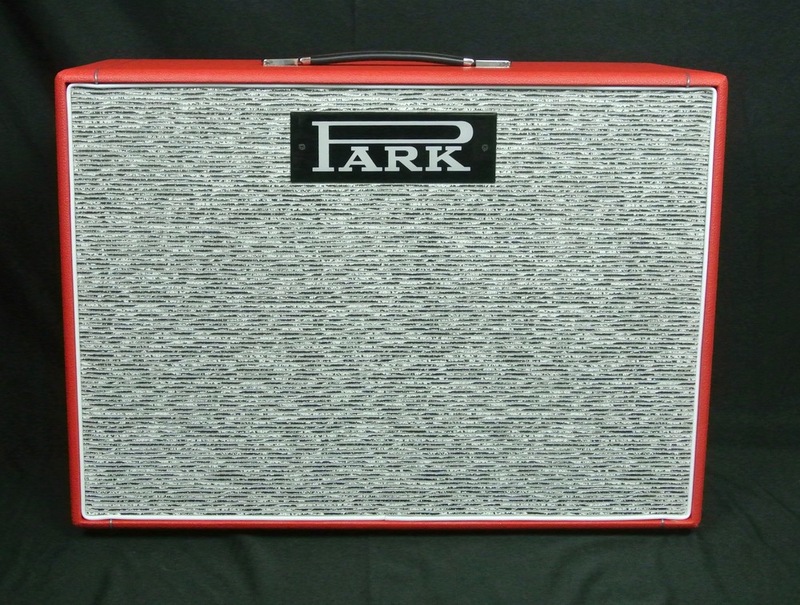 EC Collins reissue Park white pinstripe grill cloth is available at an extra charge. 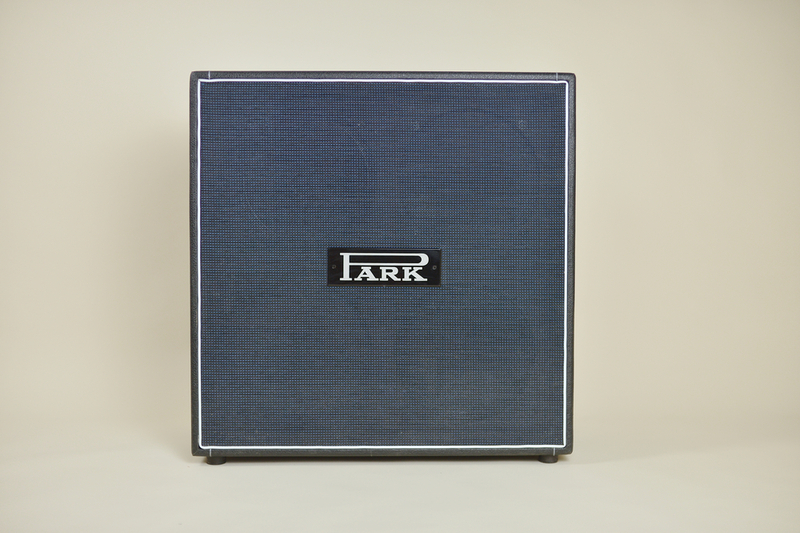 Standard speakers are Celestion Heritage G12M Greenback speakers made in the UK. Other Celestion as well as other brand speakers are available and your choice will depend on the amplifiers you are using. 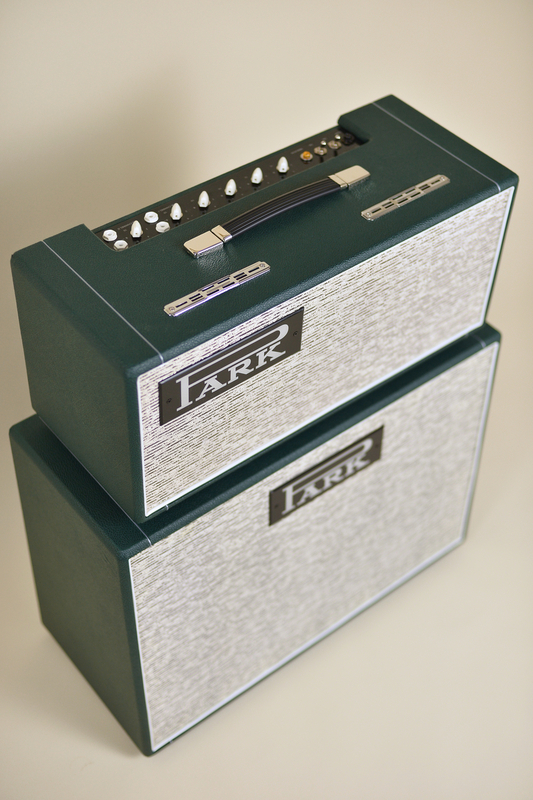 The 2x12 shown here has custom order green covering, EC Collins Park pinstripe grill cloth and is shown below a top mount 45 limited edition head. It was built for Jimmy Vivino the busiest guitarist on the planet. His credits include musical director of the Basic Cable Band (Conan O'Brien), Fab Faux, Al Cooper, etc, etc, etc...). All Park cabinets are made by two of the finest cabinet makers in the US. They are not off-the-shelf cabinets nor are they built by the same guys who build in big quantities for many manufactures. 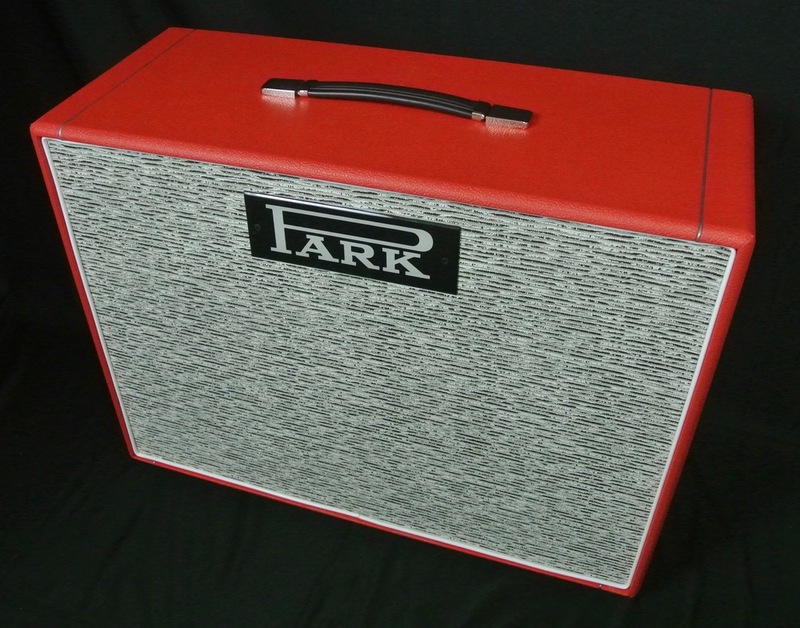 When you buy a Park cabinet you can rest assured knowing that you have a speaker cabinet that is unique, sounds great, is built with the best materials and by the best cabinet builders in the industry. Park Little Stack. Park Little Head 18 with PLCT (Park Little Cab Top) and PLCB (Park Little Cab Bottom). Each houses one Celestion G12-65 Creamback M 12", 16 ohm speaker). Little cabs are 21" x 21". The top cab is slightly angled back. The bottom depth is 11". The top depth is 9.5".